chirine's workbench: The Weekly Update - Sunday, December 11th, 2016 - Lights! Camera! Action! The Weekly Update - Sunday, December 11th, 2016 - Lights! Camera! Action! The new addition to the collection, which is a heap of fun! The Missus, bless her. announced the other day that my final birthday package had finally arrived. She had been a little reluctant to get the Bloggie out and do a new episode of my little YouTube talks, and I finally found out why. Ever the bargain-hunter, she found us a really neat little device for six bucks - a camera that will work with out laptops, and is made up of length of cable with LEDs at the end with the camera lens. It's a borescope, and for the very forst time we can show you the insides of the buildings I make. 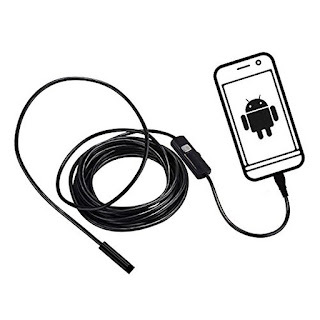 I think that this is a very cool device, and I'm looking forward to trying it out. It will certainly give a new meaning to the phrase "I look around the corner; what do I see?" 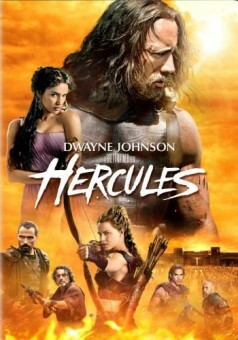 The other item in the package is a copy of the 2014 "Hercules" movie, with Dwayne Johnson in the title role. I put this on yesterday while I was finishing up the foam work on the big Sakbe road tower, and it is what I would call 'good clean fun' and a 'delightful romp'. Perfect Saturday Afternoon Matinee fare, and I felt like getting a bag of popcorn and settling in for the fun. Very good ensemble of actors, with Ian McShane stealing the show as the seer who keeps predicting his own death - and then being saved by somebody. Lots of sheer fun, all around, and a very good depiction of how a military campaign actually works - and why one should not charge formed bodies of infantry. Very enjoyable day, and even a guest in the game room for a visit. All I needed was the popcorn! If you get to make more videos like the 4-part "Mayan Temples" session, I'll be first in line to watch! That's what we're hoping to do, once the weather gets a little better. We tend to keep the basement game room at a lower temperature over the winter to save on the heating bill, so once we get back into normal weather (instead of the Arctic blast we're having) we'll see what we can do.